Vaping has been the talk of the town (and everyone in it) ever since its conception, and eventual introduction to the market in the early 2000s. Due to the customers and patrons being more conscious of their health and well-being in general (something that can be attributed to the concept and notion of a new start that is usually caused by the turn of the century), the smoking culture has been rightfully abandoned, though not fully, for a certain ‘better alternative’ - vaping. Ever since, the industry as well as the companies that are filed underneath it has only gotten bigger, better, more varied when it comes to the products they produce and offer their customers, and just a tad bit more traditional cigarette-like. Smoking has always been known, regarded, and proven multiple times to be dangerous to your respiratory tract (and truthfully told, to many other places of your body) and very deadly to anyone who inhales the smoke. The combustion of the tobacco yields many toxic byproducts that attack the healthy cells of the body. Vaping, in its conception, has the eradication of these negative aspects of recreational puffing in its core. By utilizing a technology that makes use of vapors from boiled solutions (specifically called e-liquids in the vaping community) ‘puff material’, smoking’s pros of having a stress reliever without all its unhealthy cons has been born. Indeed, a glorious day for all the smokers - now aptly called vapers - and non-smokers who are just dying to puff but are not down for the lung cancer that comes with tobacco smoking alike. Our company, ePuffer, is a company that has been in the tight and competitive vaping game longer than anyone else - we have been in the business and industry of providing services for and offering varied, high-quality products to patron vapers for 12 years now, and still counting. These years were spent in making and developing new products and technologies that will make vaping a better and more enjoyable experience for anyone, and everyone. Through constant push for excellence and drive to develop a more innovative way to satisfy the cravings of the vaping population, we have been acquainted and have become more than knowledgeable with the intricacies of the market - its wants and its needs. With these valuable experiences secured on our company’s belt, you are assured that you will only get the best, most professional services, and the products that are at par with what you expect, especially with what you pay for. We also believe that each customer has their own taste and preference, that is why we offer e-cigarettes three categories in order to cater to more vapers with specific needs and wants. This article will list and briefly discuss these three different, interesting, and impressive e-cigarette variants that ePuffer has to offer to satisfy you and your important puffing cravings. Our Magnum E-Cigarettes are thin, sleek, and pretty much a cigarette in every way - small footprint, very lightweight, and it even has an ember-like light at the end of it, to fully recreate that cigarette aesthetic. This variant of e-cigarette from us promises to give you quality vapor and vape despite its small structure and lightweight unit. This unit has all the normal parts of an e-cigarette (obviously) - a battery and a cartridge that snaps together easily - despite its very compact design. This proves that our company has improved, and stepped up their game as a manufacturer of e-cigarettes. 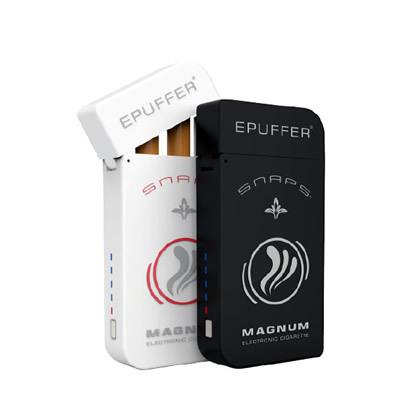 Magnum Snaps Premium Tobacco Cartomizers, Magnum Snaps Blank Soft Tip Cartomizers, Magnum Snaps Menthol Cartomizers 5-pack are some of the flavors that you could puff if ever you buy this unit. These are just a few of the exciting flavors we have to offer! You think that e-cigs are sleek enough, as they are going for the cigarette aesthetic? Well, we have existed to prove you wrong. Presenting the XPOD Mini Vape Pod line from ePuffer, a unit that is designed to be sleeker and lighter than the normal e-cigarette. 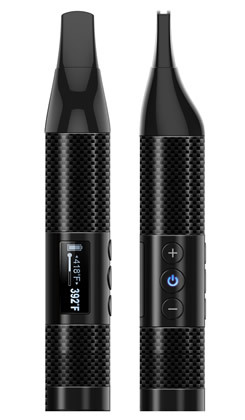 This is an interesting unit - its smaller footprint does not hinder its ability to be an e-cig. The engineering that our company has invested and given to this unit is impalpable and unmatched by any other vaping company. Impressive! 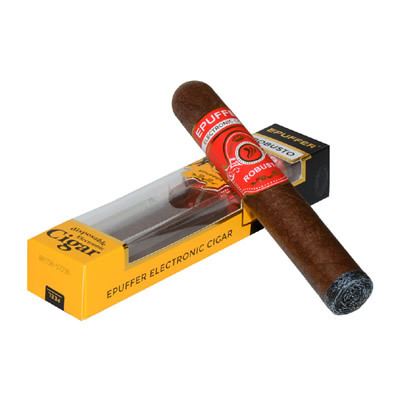 Some of the most interesting flavors that come with this ePuffer unit are XPOD - Premium Tobacco, Tropical Mango and Classic Mint (Menthol) - Variety 3-pack. Plan to just enjoy a single go (well, not really) on your vape unit? Well, we have the right product for you! ePuffer’s disposable e-cigarettes are e-cigarettes that you can dispose of (yes, that’s why it’s disposable!) that are of a high quality, just like those e-cigs that are not disposable. We make sure that the quality does not have any dichotomy - our company believes that all of the products must be treated equally, so you do not have to worry about getting a bad product just because it is labeled as disposable. 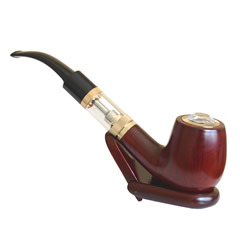 The unit works exactly the same as those e-cigarettes that are being discussed above - a mouthpiece, a cartridge, and a battery, These units last for up-to 500 puffs - roughly around 30 analog, traditionally rolled tobacco cigarettes. This, along with different flavors, is definitely worth every penny that you will spend on this unit. ePuffer’s more popular flavor for disposable e-cigarettes are Eco Menthol Disposable, Eco Raspberry Mint Mojito Disposable, Eco Watermelon Sangria Disposable, just to name a few. Telling you that your vape game will be much more memorable if you buy from us is a total understatement. With the different options on the general structure and uses of these units we see that ePuffer has been one of the most consistent and innovative companies that has ever graced the industry. The performance of these units are one of the best experiences that you will ever have - quality products and quality stress relief ever since time immemorial. With our products top-notch and our flavors perfectly mixed, we have indeed cemented ePuffer name as one of the most looked-up and successful vaping companies to ever exist.